Whether you are looking for a reliable first aid training provider, looking for experienced high quality medical cover for an event, or a health professional seeking engaging and interactive continuing professional development (CPD), you’ve come to the right place! Based near Perton in South Staffordshire but covering the UK, Red-2 Medical aims to provide high quality, cost effective and professional training to individuals and organisations who may be called upon to render aid in those first vital minutes of an emergency. 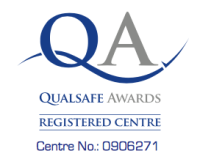 We offer a range of training services from basic first aid courses, pre-hospital care training, through to professional development courses for health care professionals and bespoke training. Red-2 Medical is also a provider of medical services to the events and industrial sector. With access to hand picked professional staff, you can be sure that Red-2 Medical can provide the service that you require, with ongoing support and advice along the way. Red-2 Medical believes strongly in providing excellence in both our training and medical provision. There are many companies in the UK today providing training and medical services to different standards. Red-2 Medical will bring the credibility and experience to the services that you require, providing high quality but cost effective provision of training and medical cover.